Ain’t going to waste much of your time this time around by spending much time on what traffic is all about or giving you the meaning of traffic because I believe by now, you are more familiar with the term traffic. As a matter of fact, more traffic=more earning mostly especially traffic that converts or from search engine. There are different source of traffic we sorts for as a blogger just to maximize our blog traffic and earning either using paid or free traffic means. But hardly will a beginner or newbie blogger be able to afford a paid traffic like paying for advertisement on other blogs, on social media like Facebook, or buying more followers from social media to their fan page (s). Like many other bloggers who worried about traffic when they starts (I did as well when I started), but with time it’ll definitely become stead if quality content is being published often. Nonetheless, there are many bloggers, who don’t publish often yet they were able to drive quality traffic to their blog either with a targeted keyword or with the use of long tail pro software to drive steady traffic to their blog but what about those that can’t afford long tail pro version? Then there will definitely be an alternative to be used and that is what this post is categorically talking about. However, we are going to discuss free ways to driving traffic to your blog for free without spending a dime. Free Ads site: are sites that give free ads spaces for advertiser without paying a cent. All you just have to do is visit their website and click on the space provided for free ads space, and then follow the instruction that follows to secure the ads space. Forum: Many bloggers don’t participate in forum activities, and this is by far depriving them some quality traffic. The word “FORUM” calls for individual to find solution to their problems by asking questions from other member of the forum inform of a topic, depending on your niche you can simply provide solution to forum problems and use the medium to drive traffic to your blog, but the fact is, you must provide a sincere solution to a specific problem. Your niche doesn’t really count when talking about forum, all you need to is to provide solution to problems and make yourself known to the forum members. You can try forum like Nairaland and Warrior Forum and make sure you add signature to your profile. Comment: Am lagging behind in this aspect due to changing in environment but the fact is this really helped me when I started this blog and I’ll have to reckon with blog comment when am talking about blog traffic. And this how it work~ Comment and I comment, you get the logic right? Okay, this is what am talking about; when I visit a blog, I leave a comment after reading the article to either appreciate the benefits of the post or contribute my own quota to blending the topic and by so doing, one or more bloggers are likely to click on my latest blog permalink on that blog and some blog author will definitely visits your blog in return to also leave a footprint as well to fasten the relationship. Guest posting: Guest blogging is just an act from my end, that doesn’t only boost blog traffic but also serve as a means of building quality backlinks and as well as exposure. I once remembered a friend called my guest blog master because I so much believe in it but am not doing mine purposely because of links but exposure and building quality relationship with senior colleagues in blogosphere. 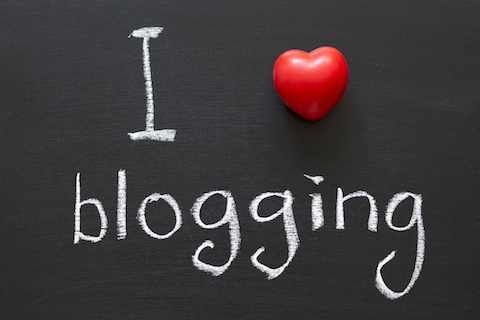 Guest blogging is one of the quality ways to drive quality traffic to blogs most especially on related blog niche. Almost all bloggers accept guest post once it’s quality and free from plagiarism. EBooks: This is another wonderful season for bloggers, bloggers have different resolutions this year and this is one of my strongest resolution which I believe is a must fulfil for me this new episode of my blogging career. Traffic from EBook might be limited; it might not be much though but have of a loaf is better than none and it’ll come always as long as the eBook is on existence. Slideshare is one of the best way to have this done, you don’t need become a writer before you can start driving traffic to your blog using EBook, with Slideshare you can convert your blog post to PDF with links pointing to a specific post on your blog and upload to Slideshare with. Blog community: Blog community is also a better alternative for bloggers to drive quality traffic to their blog. Overtime, I have enjoyed blog communities when talking about traffic and exposure. Community like Blog Engage is a must for all bloggers; I started using blog engage not up to one and half month but to my surprise it’s now the best source of my blog traffic with my standard account which I got for free and am planning heavily for platinum account that will enable me to add my blog feeds for auto synch. Some other blog community you are advise to lay your hands on are; Bizsugar, Thesocialwriter, Klink, Inbound, Kingged. Final word: Steady traffic is virtually the importance of blogging and more traffic equals more earning, keep doing what is right by blogging consistently and write quality content always with the above free traffic source you will definitely triumph and become a blog traffic booster with time. If you love blogging you will definitely becoming an expert in one area over time and stop being worried over traffic overnight. Thank you for this explosive post, it’s really interesting and informative. I will say that out of the mentioned free ways, it’s only Ebook and blogengage that I’ve not been using and I think I’ll really want to use blogengage. One think we need to know is that submitting link to communities or forums wouldn’t only give us the desired traffic, but scheduling time to interract and also help others share their own post.let your presence be felt and automatically you will see traffic. Once again Adesanmi thanks for the post. I couldn’t agree more! You have quite a list, commenting, creating an eBook, Guest posting, joining a blogging community, all are great idea to have a free traffic. You do not need to bend your knees, I must say! This comment was left in kingged.com where this post was already “kingged” and shared for Internet marketers. You know I’m just working on Warriorforum these days and I love the traffic I get from it. I encourage bloggers to participate in forums in their niche. There is a lot of free traffic sources out there, we should always look for new ways and put them into test and stick to the best source that drive the most traffic to our websites. Thank you so much for sharing your tips. These are popular free traffic sources for blogs. However, there are some that prove to drive in more volumes than the others. For instances, engaging actively in blog communities and social media can drive in volumes of free convertible traffic in short and long term. However, to make the most of these, it becomes necessary to make valuable contributions within the community. In kingged.com – the content syndication and aggregation website for Internet marketing, I have left the above comment where this post was shared. I absolutely agree with you, forums, blogs, social networking sites plays a big role for bringing traffic to your site provided they contain a lot of online users and recently posted content and comments. Blogs provide a suitable platform to discuss several points to make the information more transparent. Well you’ve shared wonderful free traffic sources to drive traffic and I guess social media will come first where we can could easily drive traffic with referral links. Joining blogging communities and participating in the daily discussions will surely get lot of traffic to our links and also social media is a great source for free traffic.